Designed for home cinema rooms, the UHD65 offers unforgettable 4K digital cinema quality images in the comfort of your own home. Incorporating Ultra HD 4K resolution, it brings movies to life with thrilling detail, colour and contrast – taking entertainment to the next level. Packed with the latest technology and features, the stylish UHD65 boasts High Dynamic Range (HDR) compatibility, HDCP 2.2 support and sophisticated PureMotion frame-interpolation processing which eliminates motion blurring or image judder. An RGBRGB color wheel provides accurate, true to life color rendition Rec.709 – perfect for recreating the big-screen experience at home. 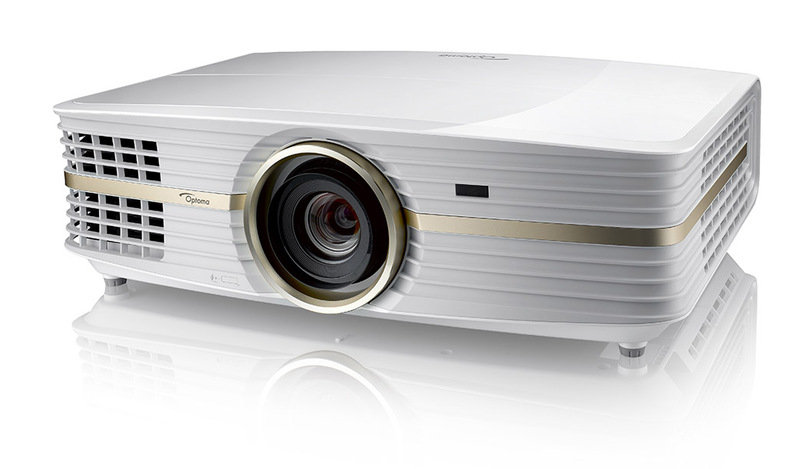 The UHD65 projector also passed the qualification from the Consumer Technology Association (CTA) definition of 4K Ultra HD resolution. 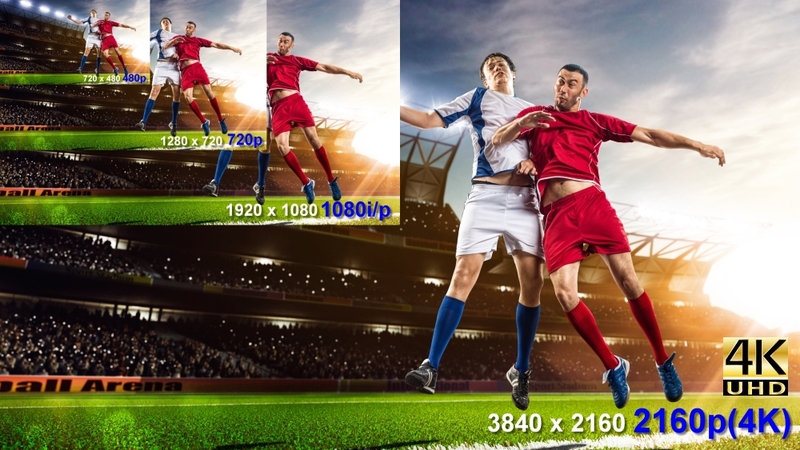 Adopted Texas Instruments DLP 4K UHD chip and XPR technology to deliver full 8.3M pixel image on the screen, more than four times the resolution of 1080p. 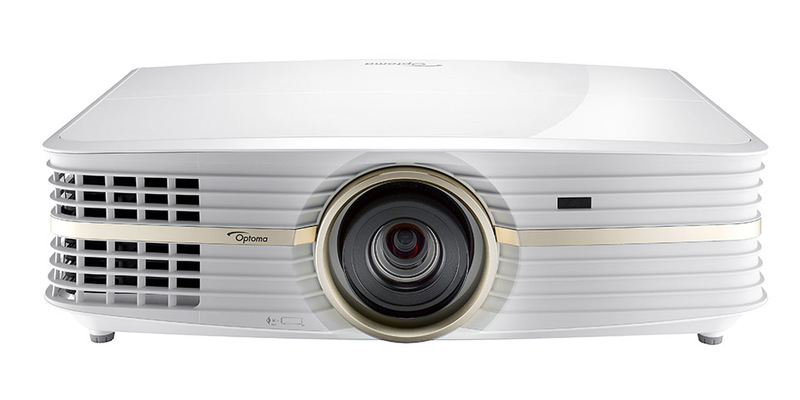 DLP 1-chip system is perfectly aligned compared to other non-DLP 4K projectors. ANSI contrast is a key measurement of contrast for real viewing situations with both black and white content in the same scene or image. The UHD65 adopted DLP technology, which well-known for great ANSI contrast. 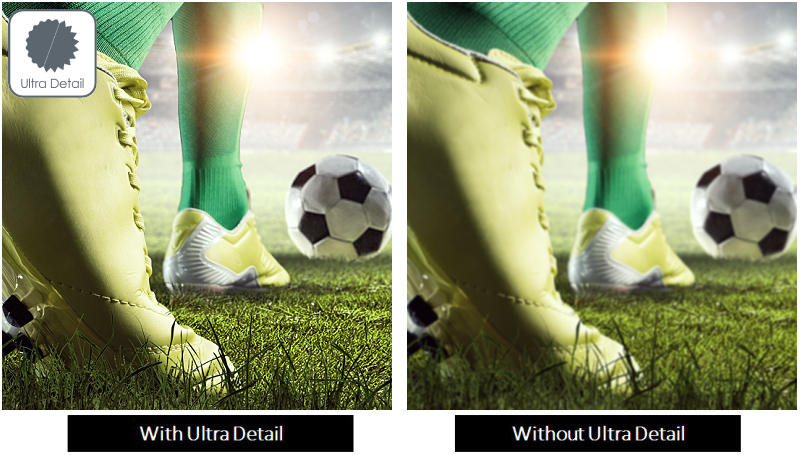 Capable of receiving and displaying HDR meta data, the UHD65 allows you to see far more detail and texture. Objects look more solid and life like and the extra detail creates a greater sense of depth. It’s like looking through a window. UHD 65 is Rec.2020 compatible, and exceeds 100% Rec.709 colors, to let you watch movies, TV shows and play games with stunning colors in any environment. 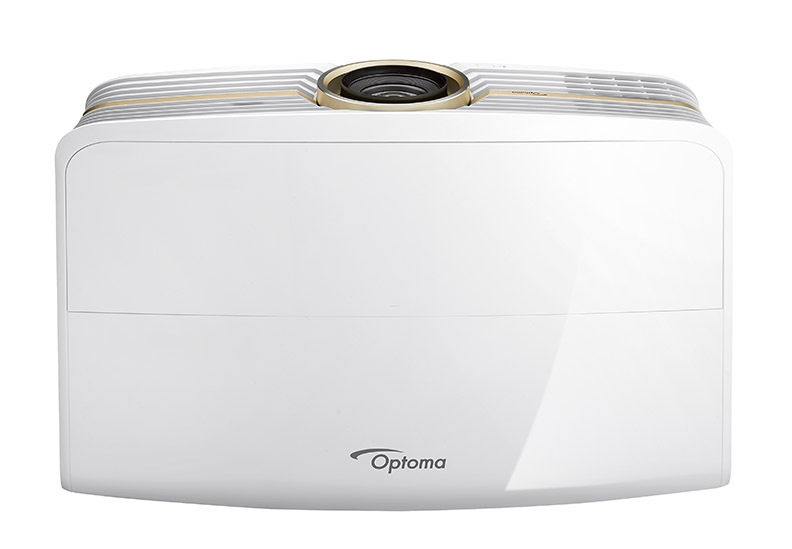 Optoma projectors provides you with reliable performance suitable for any content and environment. 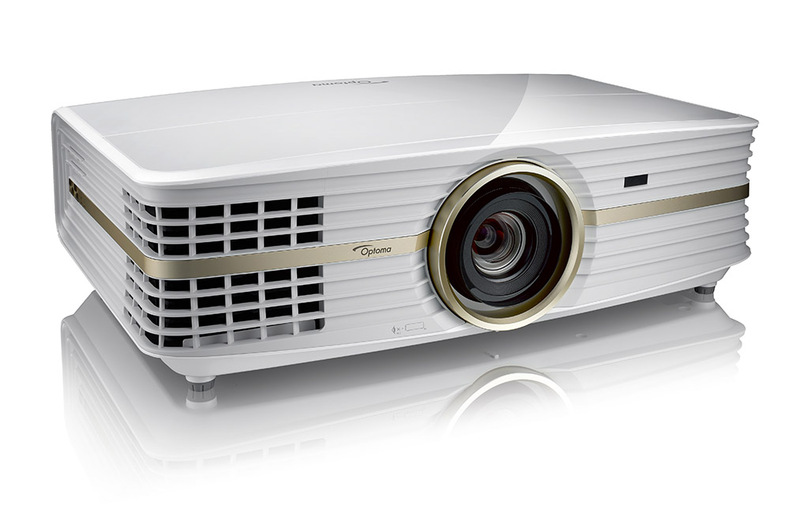 Our home projectors are capable of reproducing the Rec.709 color gamut, the international HDTV standard to guarantee accurate reproduction of cinematic color exactly as the director intended. Or more saturated colors for a punchy looking image, great for gaming and animated movies. Automatically optimize the brightness of the display during dark / light movie scenes to be shown in incredible detail. Using sophisticated frame-interpolation technology, advanced motion control processing eliminates motion blurring or image judder, even in high-speed action sequences. Dynamic Black smoothly adjusts the lamp output automatically, based on the brightness information of each frame, to create a stunning contrast ratio. Bright scenes are crisp and clear, while dark scenes remain detailed with deep blacks which gives exceptional light and shade detail. 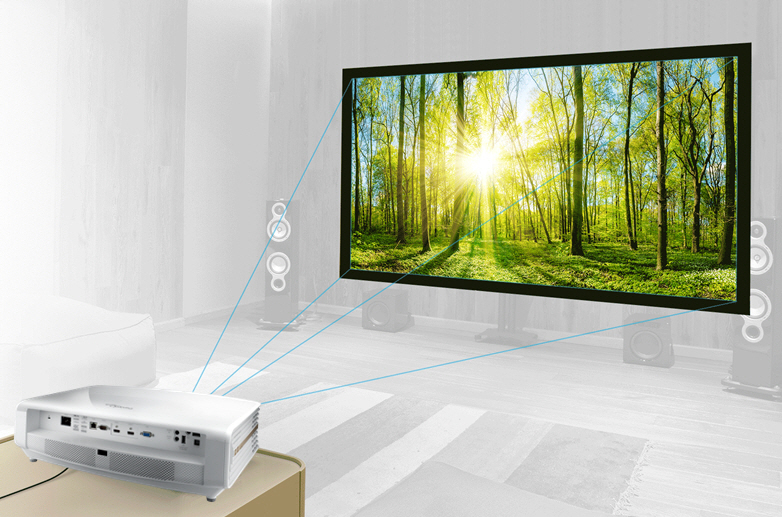 The UHD65 projector has 1.6x zoom for ease of installation, and with 1.39~2.22 throw ratio that is suitable for living room or theater room settings. 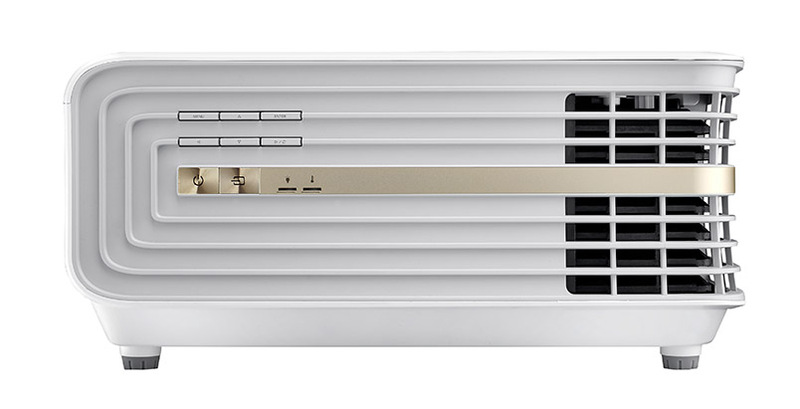 Equipped with high quality speaker Delivers remarkable clarity unheard on projectors before. Enclosure design separately The integrated speakers have its own enclosure that allows the full range transducer together with large passive radiator to produce undistorted soundtrack whether watching movies, playing games or other sound effects. 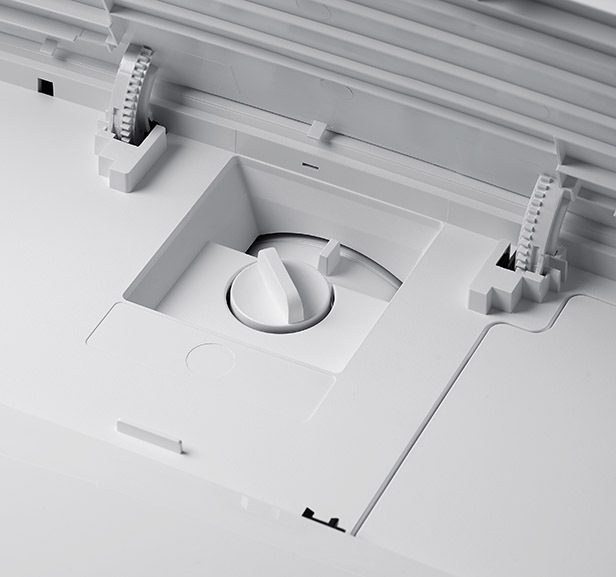 To improve the clarify, and prevent vibration or any unwanted frequencies that could impact image quality, the speaker enclosure is separated from the projector chassis with silicon. ISF modes - This feature allows you to save your calibrated day and night mode settings for the highest possible viewing experience. USB power - Use the USB-Power to power an HDMI dongle, such as Google Chromecast. MHL - Turn your projector into a smart display by connecting a smartphone or tablet with a single cable using MHL to play games, stream videos and share photos on the big screen.